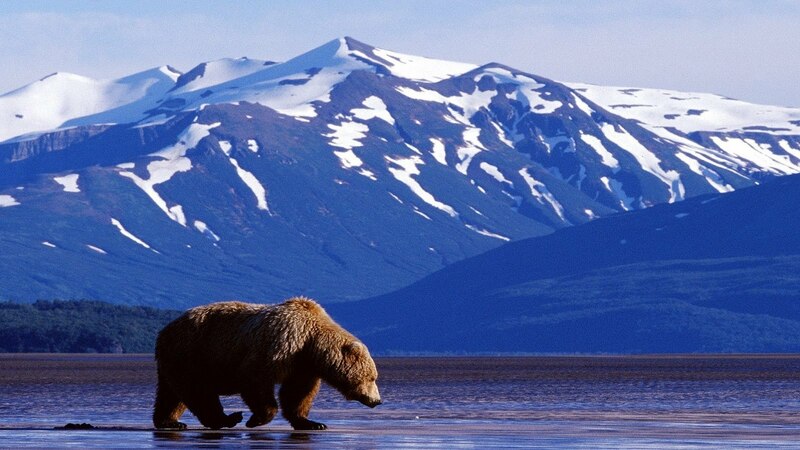 American Indians across the Western U.S. are challenging moves by federal wildlife officials to lift protections for grizzly bears that roam a vast wilderness centered on Yellowstone National Park, citing worries over potential trophy hunting of a species many tribes consider sacred. The tribes' opposition marks the latest turn in the saga of a massive, ferocious predator driven to widespread extermination by overhunting and trapping early last century. It also adds a new, cultural dimension to a wildlife controversy that previously centered on disagreements over science and how many bears are enough. A former chairman of Arizona's Hopi Tribe, Ben Nuvamsa, says his people regard the grizzly as an "uncle" who possesses strong healing powers and plays a central role in traditional ceremonies. He said tribes want to "keep it from being a trophy animal and prevent the industrialization of bear habitat." "We regard him as part of our family, and it's really important to all of us natives to keep him around," Nuvamsa added. "It doesn't matter where the bears are. We pray to them when we see them." U.S. wildlife officials and their state counterparts in Montana, Idaho and Wyoming contend the region's 700 to 1,000 bears are biologically recovered. They've been pushing for almost a decade to revoke the animal's threatened status, a step that was taken in 2007 only to be reversed by a federal judge two years later. Removing federal protections would put the animals under state management and open the door to limited trophy hunting. Wildlife officials in Montana, Idaho and Wyoming have advocated future hunts as a way to help them deal with problem bears. Since the 2009 court ruling, government biologists have sought to bolster with new research their conclusions that bear food supplies are not threatened by climate change and other factors. They've also pledged that some habitat protections would remain in place regardless of the animal's legal status. A decision on whether to propose a rule to lift protections is expected in the next several months. No such proposal is pending for the only other large concentration of grizzlies in the Lower 48, an area around Glacier National Park in northwest Montana and southern Canada with an estimated 1,000 bears. Rising numbers of conflicts between bears and humans have further complicated the upcoming decision on bears in the 19,000-square-mile Yellowstone region. Since 2010, grizzlies have killed six people in and around Yellowstone and regularly maul hunters and domestic livestock outside the park. Such occurrences have fueled opposition to continued protections within the ranching industry and among state officials. U.S. 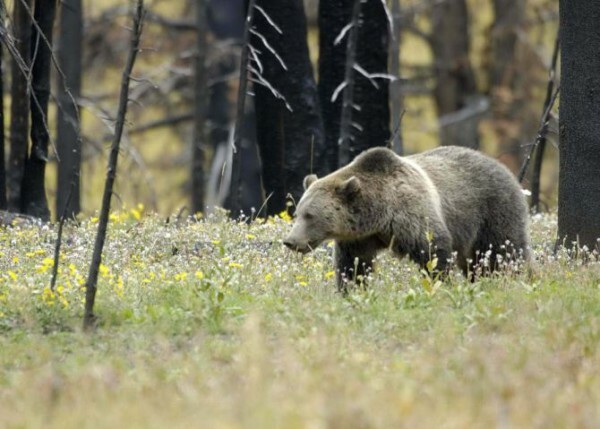 Fish and Wildlife spokeswoman Serena Baker says the agency will try to balance the tribes' concerns against science that shows the grizzly bear population has rebounded in the Yellowstone region since protections were imposed in 1975. Endangered Species Act decisions typically are guided by what's known under the law as the "best available science," but Baker said the tribes' views also would be taken into consideration. "They have a very deep connection to the land and the animals and the environment," she said. "We certainly want to respect that." But leaders of dozens of tribes across the U.S, most of them west of the Mississippi River, have called for a halt to the process. They said they have been denied formal consultations over an animal that was once widespread across their ancestral homelands. Consultations on matters affecting tribes are required under treaty obligations and prior White House executive orders. 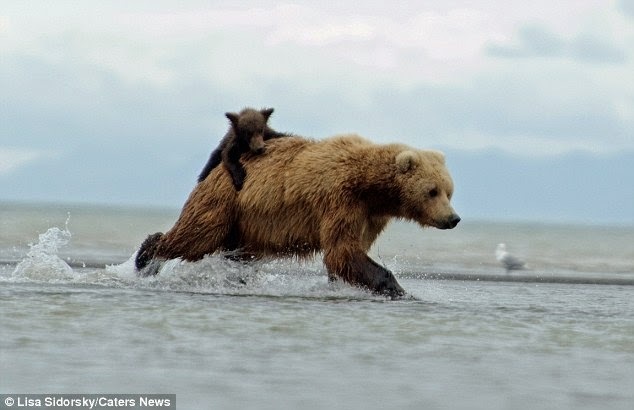 Grizzly bears lived across much of the West until hunting and trapping eliminated them from more than 98 percent of their historic range in the Lower 48 states. "These are our treaty lands, our ancestral homelands," said Shoshone Bannock Tribes Vice Chairman Lee Juan Tyler. "Too many times in our relationship with the federal government we have surprises. ... We want the grizzly bear protected with those lands, and the grizzly bear returned to areas where we can co-manage them." Federal officials said they've consulted with five tribes to date in Montana, Idaho and Wyoming. Discussions with two others are planned, and Baker said letters have been sent to more than 50 tribes inviting them to join the process. "We need to hear from them on when and where we can meet, because we are ready to meet at any time," Baker said. Responses to "Tribes Want Protections To Remain For Sacred Grizzly Bears"
Man keeps making their forest home smaller and smaller. I pray they stop their foolishness and keep the sacred bear safe. Absolutely! Where do I sign to help protect them? Its time the tribes n all their people unite to take back the lands, lakes, rivers, n forests.